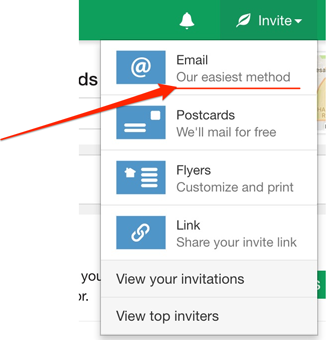 Learn everything there is about motivating users to send friend invitations. Ever wondered how you could entice more users to invite their friends to your platform? 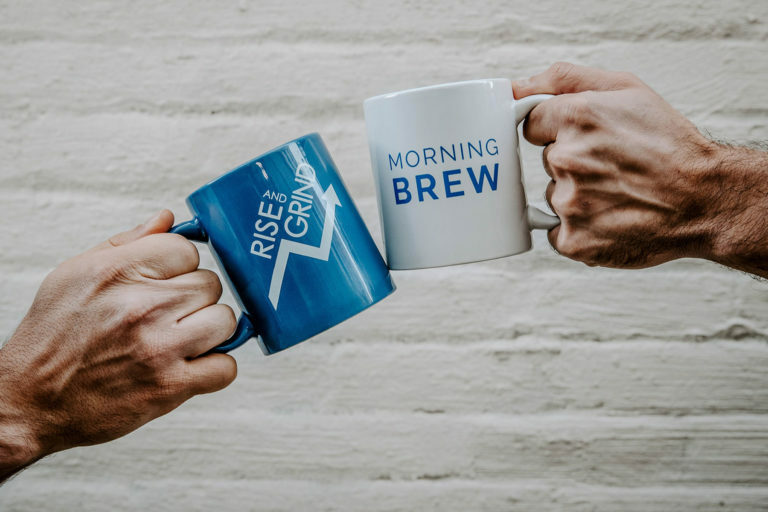 Get them to help you grow your userbase by introducing your company to their network of friends, family and colleagues? It’s the one thing you need right now to boost your platform’s growth. It’s just that, as I’m sure you’ve already noticed, users aren’t that eager to tap into their contact lists, are they? “Unless you have specific intel indicating they will share your app with everyone immediately after first interacting with you (like, for instance, my Mom is your target audience), then you should probably assume they won’t. Luckily for you, in this guide, we’ll help you overcome this challenge. Find out ways to implement those insights to grow your platform. Intrigued? Then let’s get right to it. Getting new users to sign up for a product, service or a new platform is actually quite easy. 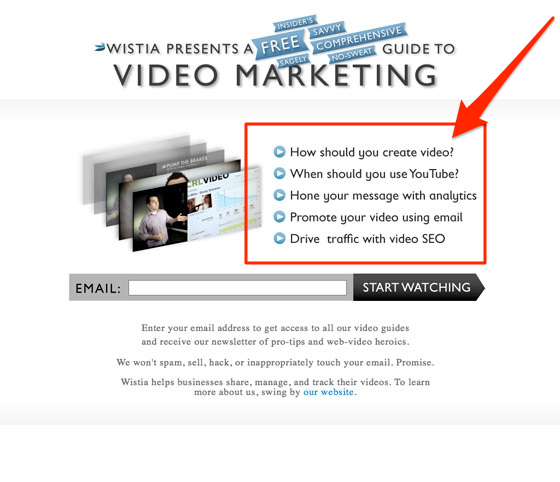 Of course, it takes an effort to drive people to your website, and come up with a compelling offer that would entice signups for trial or free accounts. But it’s getting them to stick around, become customers and pay you… that’s the real challenge, isn’t it? And to get hooked on your product, service or platform, new users must reach what Alex Schultz, the Facebook’s VP of Growth refers to as, a magical moment. In other words, users need to realize that you can deliver the value you promised. 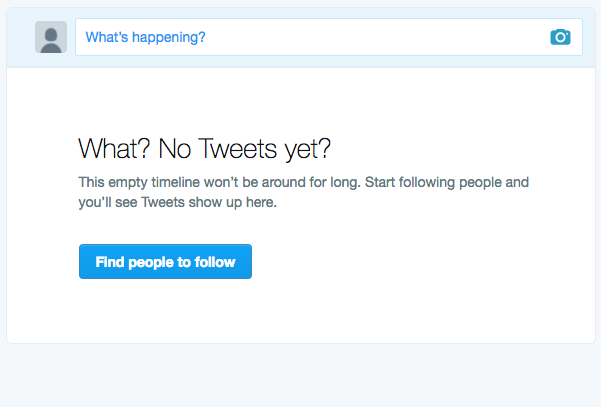 For Twitter, the magical moment is seeing initial updates in your timeline. And for that reason, the company requires any new user to follow at least 5 accounts before they even see what the service is about. 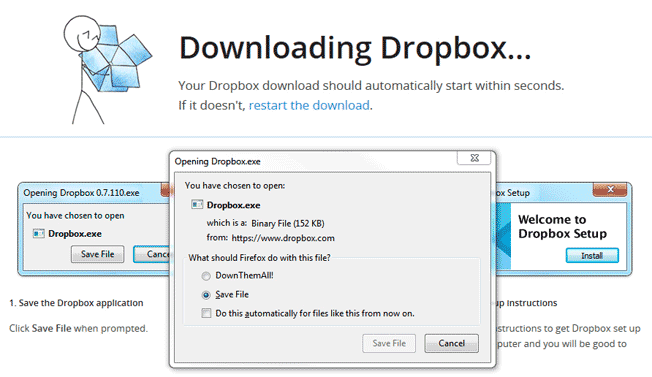 Dropbox asks users to download the desktop client, so they could immediately take advantage of the product’s core functionality – easy and effortless access to cloud storage. 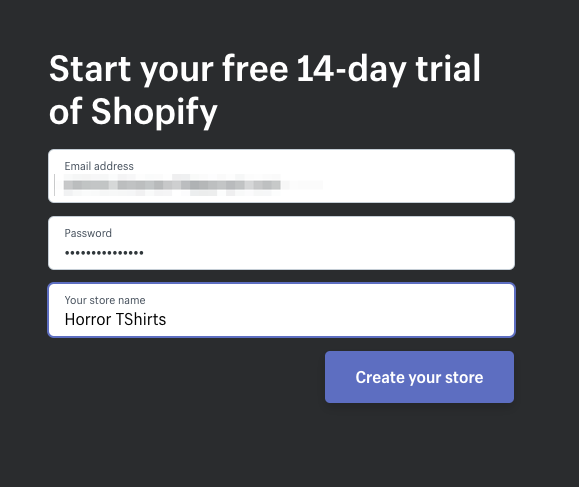 Shopify gets new users to open their store before they even set up their account. Minutes after signing up, any budding ecommerce entrepreneur finds themselves already with a working online store in front of them. Helping a new customer to reach the activation point means that they will understand the benefit of using your product or service, and realize the value of becoming a customer. But activation is just one of the objectives of targeting the magical moment. You see, for many products, particularly small, private networks and communities, the magical moment will only occur if users discover their friends or connections there. And needless to say, when those users begin inviting the people they know to the platform, your growth propels. Your product becomes viral, reaching new potential users without any involvement on your part, additional marketing spend, and effort. As we’ve already discussed, not every customer is willing to tap into their address book and invite friends to join them on a new platform. And this is particularly true if you’re trying to boost virality of a platform that targets a smaller, “closed” audience. But why enticing invitations in smaller, closed communities poses such a challenge? This goes without saying, doesn’t it? We have a strong need to belong. And to satisfy that need, we cling to communities. From small, local hobby-based groups, various industry organizations, to worldwide networks, we identify with and cling to like minded people. Share the emotional connection with other members. But just like all those elements fulfill our basic need to be a part of a community, they may also prevent us from helping it grow. If asked why we share or refer products or services, the most common reason is that of the value we’ve received ourselves. But that behavior is also closely related to the risk of inviting or recommending a service, product or platform to others. If that risk is small, customers won’t hesitate to recommend. However, if they consider the risk as greater, then they’ll most likely think twice before sending an invitation. Just think about it, if your goal is to build a strong relationship with a group of people, share an emotional connection, and become an influence, how likely are you to bring another person on board? Particularly, if you haven’t had the chance to achieve any of your goals within the community yet. But let’s look at how this works in practice. Imagine you’ve just joined a new platform, and have hardly any influence or deep connection with the group. Nobody knows you too, and you’re still going through the process of establishing your identity there. And as a result, you fear the ridicule by bringing someone who actually might not fit in. Naturally, in those circumstances, you’re far less likely to invite other people to the platform. The trouble is that at the same time, many platforms are only useful if you use them with friends and connections. Take Prefer, for example. This new platform helps users find any professionals they need through friend recommendations. Using existing relationships, it allows you to solve any nagging problems you have, from finding a babysitter to hiring a new accountant for your business. And so, the sheer existence of the network depends not just on users signing up but importing their address books, filled with professionals they could recommend to others. But as we’ve discussed already, getting users to tap into their contacts is a challenge. So, in the following sections, we’ll help you understand and implement the mechanism to entice users to invite friends to a new network. It’s a behavior deeply rooted in our human nature. 94% of us make sure to share things that are useful. And 49% of customers want to tell others about products or services they care about. But before customers jump in to recommend or invite someone to a new platform, they typically go through a lengthy process that helps them assess whether the referral is a viable option for them. This process focuses on assessing the level of risk associated with the invitation, as well as the potential for receiving a positive response from either side, the invitee and the group you’re inviting them to. And needless to say, your viral growth relies heavily on your ability to overcome this process. Question 1: Is the product/platform useful? Since a customer has only joined your platform, they’re validating it for themselves. And the potential friend invitation relies heavily on how useful they’re going to find it. This is where your onboarding process comes into play. You need to ensure that new users will quickly realize the magical moment. Or at least understand the importance of bringing in a couple of friends to the platform to fully avail of the benefits it offers. Question 2: How involved am I with this platform? According to the NYT, involvement is the 3rd most common reason for sharing or referrals. Therefore, naturally, new users will assess how involved they are with your platform. And naturally, the higher the involvement, the greater the chance for them to send a friend invitation. Question 3: Will inviting this person help me develop my relationship with them? Think about it. What are the chances of a friend thinking poorly of you if they didn’t enjoy food in a restaurant you recommended? But a lawyer you recommended losing their case might put a serious strain on your relationship. Will the invitation help strengthen or damage the relationship? 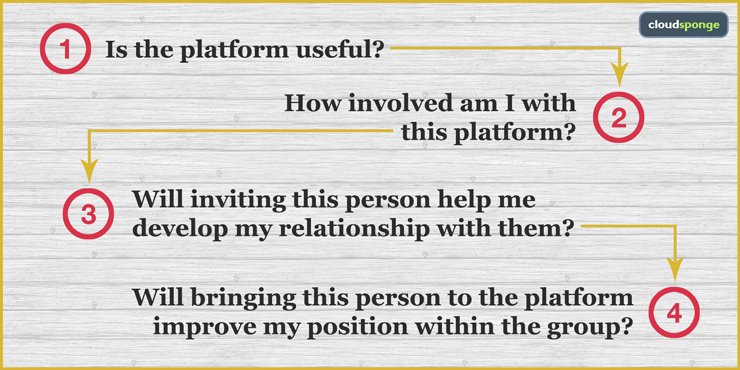 Question 4: Will bringing this person to the platform improve my position within the group? We’ve already discussed how our psychological need to belong affects our behavior within a community. And so, it should come as no surprise that many customers will consider how good a referral will make them look in the group. It is your role to reinforce (in the copy, and calls to action) the social rewards for helping grow the network. Apart from the four questions above, your users will also experience objections preventing them from sending that friend an invitation. And the majority of your friend invitation process should revolve around matching the friend invitation validation process as well as overcoming the following objections. Fact: Requesting new users to invite new friends right after signup makes so much sense for many products. Take Facebook for example. We’ve already discussed what happens when a new users sees 10 of her friends on the platform. Similarly, anyone would most likely feel much better about exploring a new private network, if they knew at least some people there. But for many other products, it may make more sense to hold off on the request, at least until a person has had the time to discover the value of the product for themselves. 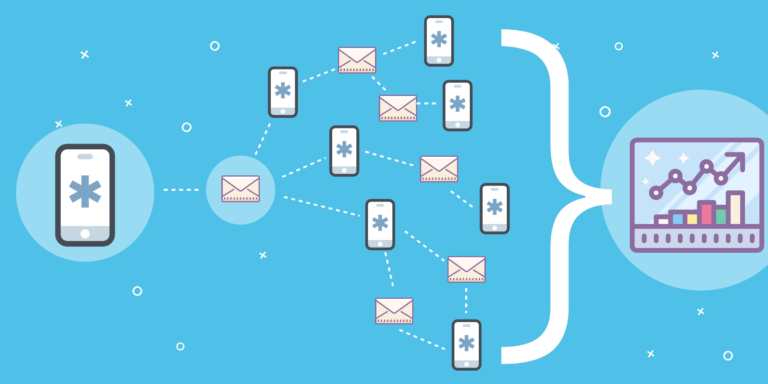 You see, unless inviting friends to the network brings a person closer to the activation point, it may make more sense to experiment with introducing the option to import the address book only when a person has engaged with the product, understands its value, and has developed a trust in you. Now, don’t get me wrong. You don’t have to hold off. Nextdoor, a private social network for neighborhoods thrives on instant friend invitations. (And you can read how friend invitations help them grow in this case study). But depending on your setup, your product might benefit more from presenting users with the friend invitation request at a later stage. Often, to drive more invitations, you need to convince users that it is safe for them to do so. We’ve talked about this behavior earlier on when discussing the invitation validation process and user objections that prevent them from sending friend invitations. And an effective way to overcome those is by showing the success others have had with the platform. How? By presenting them with strong-enough social proof. Because you see, although we believe we make decisions on our own, much of what we think or do is influenced by the behavior of other people around us. Countless conformity experiments have proved that when unsure what to do, we conform to the behavior of others. And that’s even if it puts our lives in danger! But of course, you don’t have to push your users to the extreme. Include or feature experts or personalities your network would consider an authority. Inbound.org, a social platform for marketers, includes images from renowned marketing experts – Rand Fishkin, Dharmesh Shah, and Aleyda Solis, on their homepage. Show key statistics, like the number of satisfied users, retention, Net Promoter Score, etc. Another strategy is to use numbers to highlight your platform’s popularity by displaying relevant metrics, such as the number of users, their satisfaction score, etc. It’s no secret that just as social proof can provide the final reason to perform certain actions, it’s the copy that entices us even to consider taking them. Copywriters know how to use language to evoke a specific emotional reaction from the audience, engage them, and inspire to act. And the text you display when requesting users to invite friends is no different. And might even get impressed by you already being there. But I admit, writing engaging copy is by far, the most difficult element of the entire process. Assigning the friend invitation request to the right place in the onboarding cycle or finding the right social proof are relatively simple, compared to having to write powerful copy that compels users to action. Start by researching your customer’s objections for sending friend invitations. We’ve covered a lot of them already in this guide. But you may want to conduct some additional research to uncover the strongest objection among your customers. The headline is the very first thing a person sees. And it’s also the element that convinces them to even pay attention to the rest of the page. Although writing headlines is by far, the most difficult element of copywriting, there are templates and formulas you could use. Steady state – Describes emotion the audience has towards the problem right now. Target emotion – Describes how you want them to feel after reading the text. 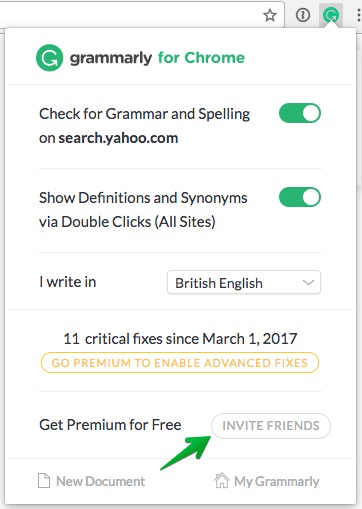 Identifying those two helps you write copy that will connect with your users emotionally. But how do you use this strategy when convincing users to invite friends to the network? Let me illustrate this with a quick example. Let’s pretend that you identified worry as the steady state. Your audience feels anxious about the new network, on which most likely they have no friends with them. Your headline could refer that emotion, i.e. “Too quiet for you here?” And then, use bullet points underneath to overcome their objection for inviting friends over. Explain why they should invite friends. Be open as to why they should bring their friends over to the new platform. Give your audience a compelling reason to send invitations. Did you know that “because” is one of the most powerful words in the English language? Why? Because giving people a reason for making a request results in a significantly greater compliance. And so, often, telling users why they should invite others might entice them actually to do so. Bonus: Getting even more invitations. 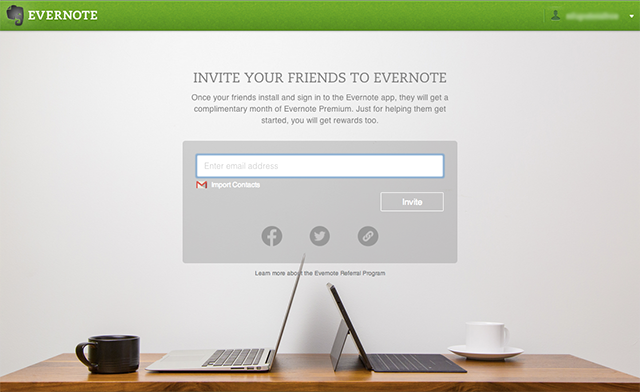 Suggestions for A/B tests to fine tune the friend invitation process. There’s a particular misconception in marketing that drives me crazy. It says that you need to get your growth strategy, regardless of what it is, right the first time. In fact, it’s extremely difficult to get the invitation process right for the first time. For that reason, you should continuously test different variations of your strategy to discover what engages users the most. And in this final section, I want to offer you a couple of suggestion for tests you could conduct to improve your user invitation process. Fact: Where you place the invitation option matters just as much as the copy you feature on it. After all, users are only likely to avail of it if they notice it first. We’ve already discussed the importance of the headline. And so, if you’re looking to boost your invitation rate, this would be the first place to test. There are two ways you can display the benefits of sending friend invitations – as paragraphs and bullet points. And you should test how your users respond to either of them to discover the most engaging option. 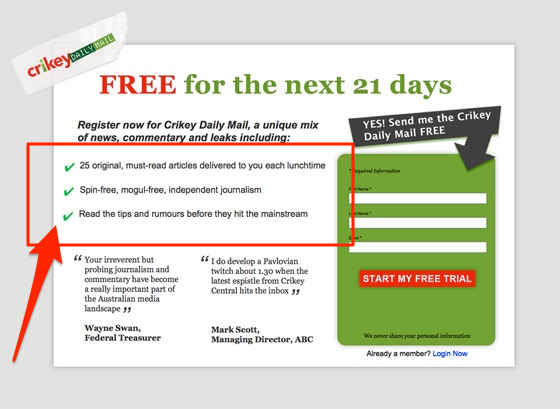 Call to action (CTA) is the second most important element of the invitation process, after the headline. Fact: Getting users to sign up for a trial or demo account is actually quite easy. Enticing them to help your product to grow, particularly by spreading the word and inviting their friends…that’s the real challenge. 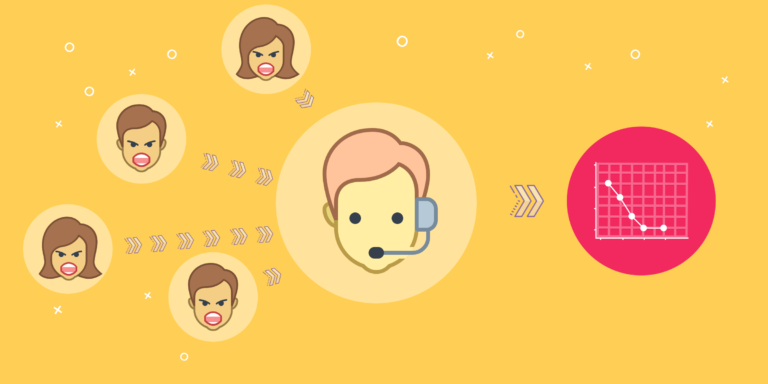 Hopefully, after reading this guide, you have a much better idea on how users decide to send friend invitations, and what strategies would help you compel more of them to do so. Next, find out how one platform uses friend invitations to grow their user base. Read the case study now. Is Poor User Experience Stalling Your Ecard Company’s Growth? What Is Virality and How Do You Build It Into Your Product? Your trial doesn’t start until you go live.